Highly Commended for Torquay Best Bar None | SHOT BY ROB® | If I'm not there, it didn't happen! Representatives from Torquay Best Bar None attended a Parliamentary Reception in the House of Lords on Tuesday evening. Trevor & Sue Staveley (Torbay Street Pastors) and Rob Elford (SHOT BY ROB) joined schemes from across the country to celebrate the achievements of Best Bar None with MP’s, government officials, industry representatives and the media. Sarah Newton MP, Minister for Vulnerability, Safeguarding and Countering Extremism addressed the attendees and joined sponsors in presenting an award. Torquay’s MP Kevin Foster showed his support by attending the reception. 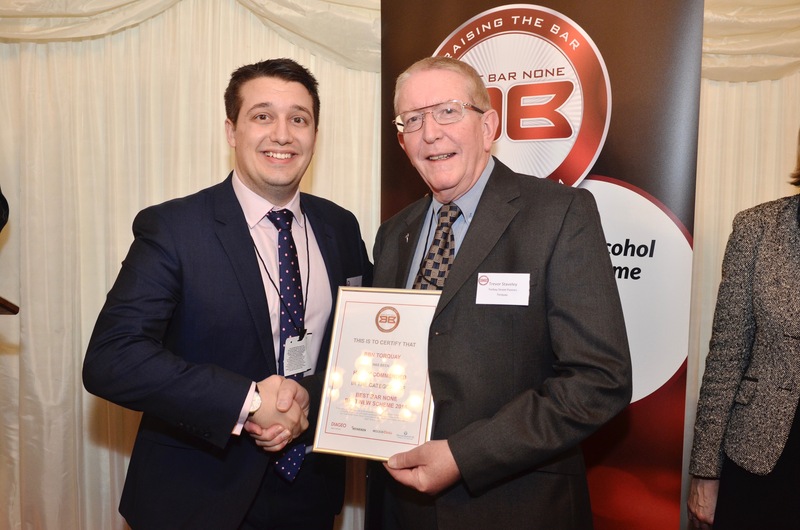 Torquay were recognised with a Highly Commended award for Best New Scheme, presented by Mario Creatura from Heineken to Vice-Chairman Trevor Staveley.